Communication skills are the main aspect of an individual in order to succeed in any mission. The mission may either be career, job or business. Communication can make or break a conversation. It is very necessary to have conceptual clarity and put forth your message clearly and effectively. I believe that public relations are an essential and integral part of communicating. Communication does not mean speaking good English. It means listening properly, implementing what has been said and responding efficiently to that conversation or giving a message loud and clear. You cannot learn communication skills from any book. Communication is a skill and you can only learn by practicing it because no one can teach you. Yes, there are very important aspects you need to keep in mind like you need to have a good command over language while you speak. And you need to keep a very perfect body language while you speak because that is also equally important. 70% is communicated through your body language and 20% is through your words this is what everyone says but I am of the view that both body language and words are equally important. This article talks about some ways that help in improving your social and communication skills. Whenever you try to express something to others, make it clear so that the listener will get focus on you. It will make a good impression on you as well as it attracts the listener to listen to you. Else the listener will get confused and may not focus on your words. Also, make it short. That is express what you’re supposed to express with clarity rather than other irrelevant subjects. Make sure to be aware of what you’re about to express. Express it clear-cut as well as with confidence. Using a friendly tone with a small smile will help the listener to feel delighted. Try to make scripts with small conversation and prepare to communicate. Or else try to tell a story or something with your script. This will enhance your communication skill. If you’re a beginner keep practicing. Practice only makes the man perfect. So keep practicing to communicate by better means. Read Newspapers and Magazines which use vocabulary which you can use daily and which is very handy, it enhances knowledge as well as builds up the word bank. You don’t really need to overuse difficult words to make your talk, write up impressive. Strictly speaking, you must use what other can understand. Communication model is based on understanding. So, it’s important to code such words which receiver can decode and the purpose of communication is fulfilled. Look into people’s eyes and then speak. This will give a message that you are interested in the conversation and also serious about what you are saying. This kind of skill will help you in important speaking forums like public speaking, TED talks, giving a speech or conducting presentations and even board meetings. This will improve your confidence and your communication posture will get better. Talk slowly and clearly. This will help you if you want to think what you should communicate next. Think and speak. Try thinking about what you want to convey and speak. Take time. Breathe in breathe out. Try the famous shadowing method. This is a method is followed by people to improve their language. Talk to yourself. Watch yourself in the shadow and talk to it or look into a mirror and talk. This improves your communication skill a lot. Try to have a clear and well established tone while speaking. 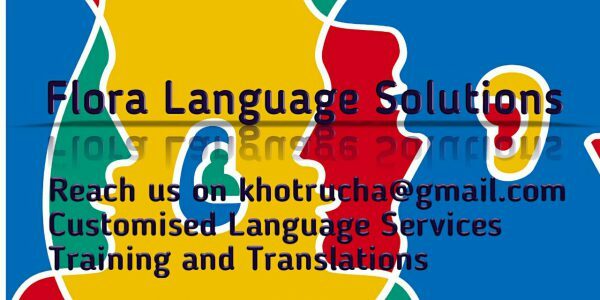 Be it any language let your pronunciation, words and grammatical sentences be very comprehensible. A bit loud, good variation of voice pitch is the most alluring part of the communication. This is more important than the content of the speech itself. People who do not like to listen to you would still hear the variation of the pitch in your voice. Take an example of our leaders nowadays. To make others people feel important, the simplest way is listening to them. It needs somewhat more patience than usual. But the fact is that by making others feel important about themselves you can make yourself feel more valuable person. This helps to boost your confidence like never before. An understandable conversation is only created when your mind is translucent and logical. When you are talking to an opposite person be it an individual or a group of people make sure what kind of information you want to express. Do you want to make it brief or explicit? Do you want to straightforward and simple or diplomatic in your way of speaking? Judge and try to identify the kind of audience you are talking to and then express yourself. Being direct can sometimes be beneficial or even work otherwise in certain cases where being clear cut is not needed. Some examples could be, a customer care executive has to be friendly and helpful but a political party spokesperson has to be diplomatic and logical. A teacher has to communicate in an uncomplicated and unambiguous way whereas when a scientist or police officer is attending a press meet he has to be plain and direct. When you talk to your friends you can be carefree and wild but when you are giving a presentation or speech you need to be precise and brief. So endlessly I would suggest that, as far as possible listen, be coherent and straightforward but do not be a book that can be read from its cover. Leave something to be discovered by the means of inside pages that is question and answers.